Colombia’s president Ivan Duque is expected to give the Supreme Court a shortlist of candidates to investigate Brazilian engineering firm Odebrecht’s bribery practices in the country. There is just one problem; the president is among the suspects. The deaths of the whistle-blower Jorge Enrique Pizano and his son last month have thrown new light onto the links between president Ivan Duque and the disgraced Brazilian construction firm and spurred calls to remove Prosecutor General Nestor Humberto Martinez and the entire prosecution from the case. When the president was a campaign manager of 2014 presidential candidate Oscar Ivan Zuluaga (Democratic Center) in February 2014, Duque accompanied the candidate to Sao Paulo to meet with Odebrecht officials who allegedly donated $1.5 million to Zuluaga’s campaign. Senator Angelica Lozano of the anti-corruption Green Alliance party, has argued Duque’s alleged role in the scandal constituted a clear conflict of interest. She wants an international justice commission to investigate the Brazilians’ bribery practices that has disgraced the campaign of Zuluaga and his opponent, former President Juan Manuel Santos. Appointing a special prosecutor would be convenient for President Duque, because he could also terminate them. Even so, it would be useless for Colombians because in the 2014 campaign, Odebrecht managed to permeate both the Santos campaign and the Zuluaga campaign. The same senator Ivan Duque, at the time, traveled to Brazil to meet with Odebrecht, as disclosed by the political consultant himself paid by that Brazilian firm. 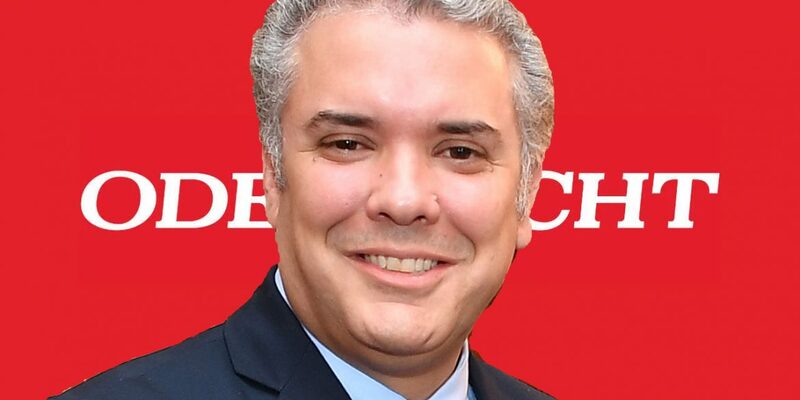 Congressman Alirio Uribe has also drawn attention to Duque’s subsequent purchase of an apartment in Washington DC later the same month, querying if the $239,500 transaction was related to the fact that Duque had met with Odebrecht’s Duda Mendonca in Brazil. Duque insists that he never received or negotiated bribes from Odebrecht, and that in Sao Paolo he only spoke to Mendonca about advertising. According to the president, he and his wife used their own money to buy the Washington apartment. I also have all my assets duly reported to the DIAN and I have also rigorously complied with my declaration of assets abroad. So anyone who wants to examine my estate will always have all the information available. According to investigative journalism website “Cuestion Publica,” the available documentation was insufficient to support Duque’s claim, and showed that the current president and his wife deposited the apartment in a trust as collateral for a loan for $80,000. Duque appeared as an agent of an unknown Felipe Sandoval, according to a document signed on April 15 by Sandoval before the Public Notary of the State of Florida. The power granted by Felipe Sandoval to Duque was to authorize the refinancing of the payment of the property with this loan. While settlements have been made between Odebrecht and other Latin American states where the Brazilians bribed officials, Colombia has refused to sign any agreements that would allow Odebrecht to surrender evidence in return from excluding the multinational and its executives from prosecution. The Supreme Court urged Duque to surrender his shortlist of special prosecutor candidates before Thursday, allowing the high court to appoint a special prosecutor before Christmas recess.